Aesthetically soothing and great safety for pedestrians. 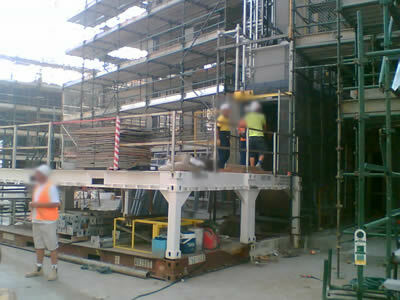 Although not suited for all sites (very steep, or extremely narrow etc), where suited they provide the most cost effective solution for overhead protection. 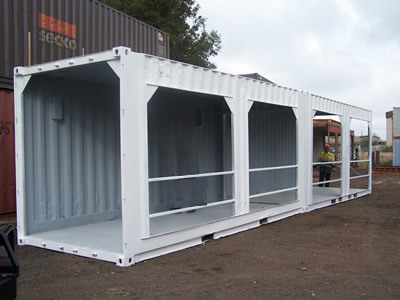 Container hoardings also provide specialised engineering solution for one-off projects. With an in house engineering team, sky is the limit of what you can do with a container. Bring us your idea “We think outside the square to customise your box”. Large volumes of containers end up in the sea or are scraped after they are no longer sea worthy. 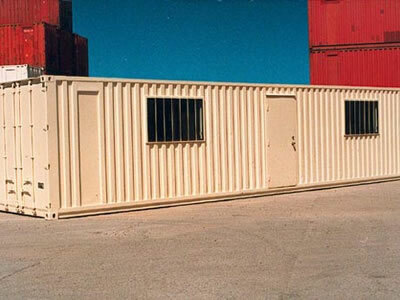 We at Container Hoardings can and do utilise this type of retired shipping container for our hoardings. We also ensure that all cut out pieces are used for container repairs or sent to recyclers to be used again. Our recycling policy is the basis for our business, we are committed to the environment with our motto being ‘Reduce and reuse’. 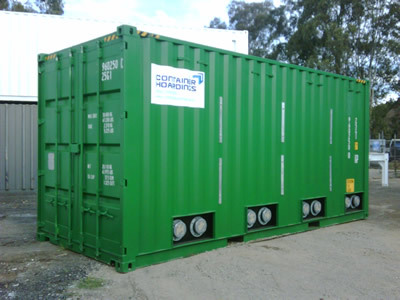 If you have a shipping container in need of recycling, please call us as we are always on the lookout for more containers.